US equity indexes closed very mixed, sp -3pts @ 2164. 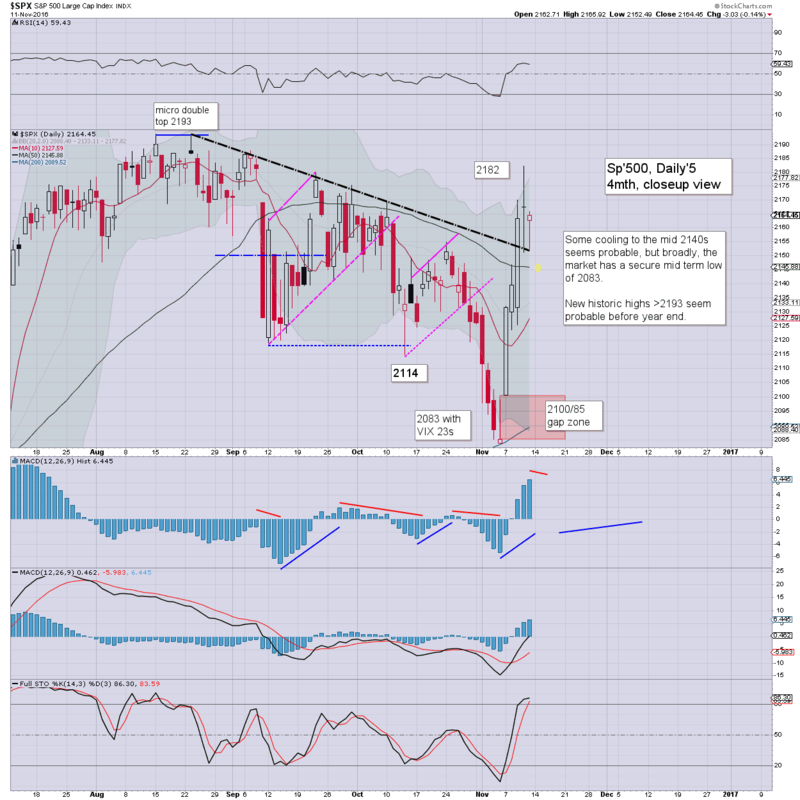 The two leaders - Trans/R2K, settled higher by 0.2% and 2.4% respectively. VIX settled -3.9% @ 14.17. 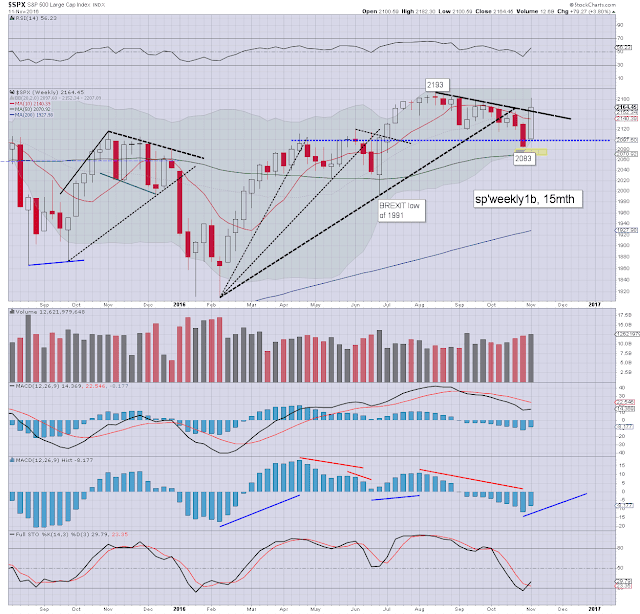 Near term outlook offers cooling to around sp'2144, which should equate to VIX 17s. 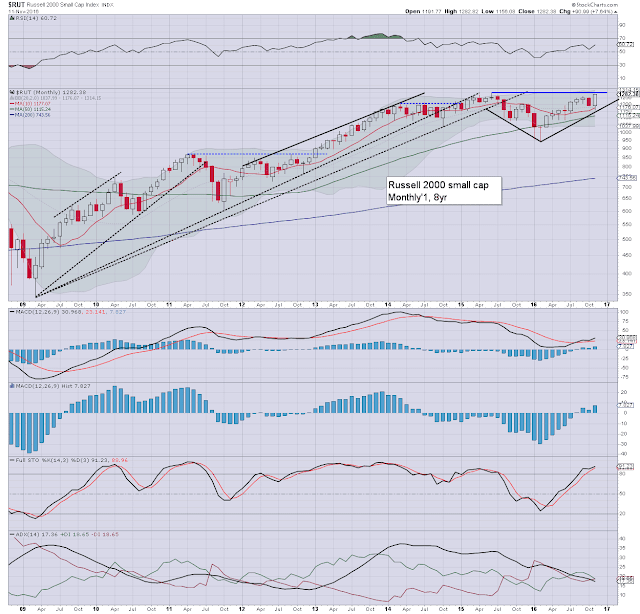 Broadly, the market looks headed powerfully higher into.. and across 2017. 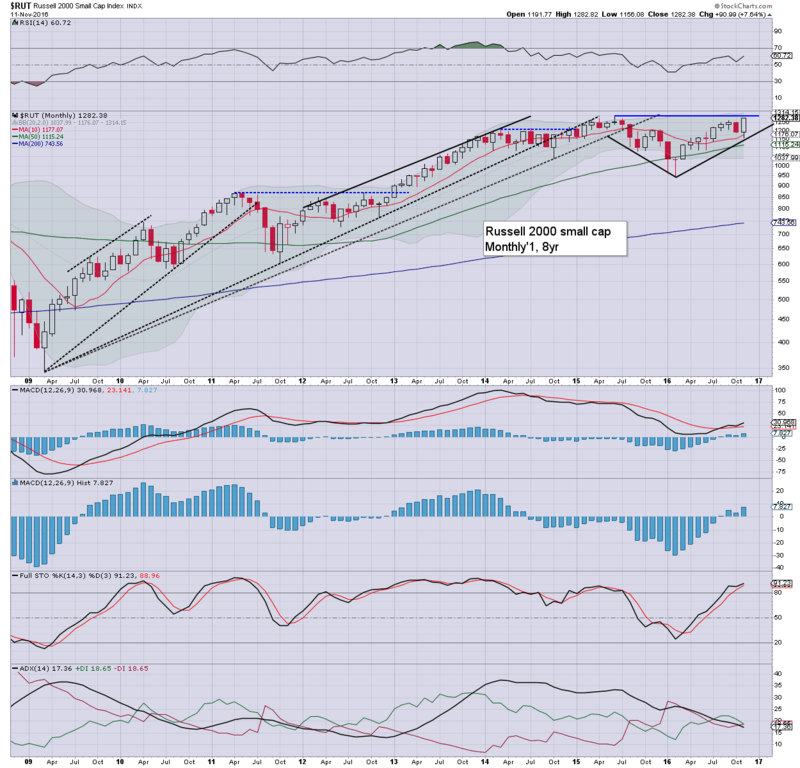 A day of moderate chop, although there was some notable strength in the R2K, which came to within nearly 1% of breaking the 2015 high of 1296. 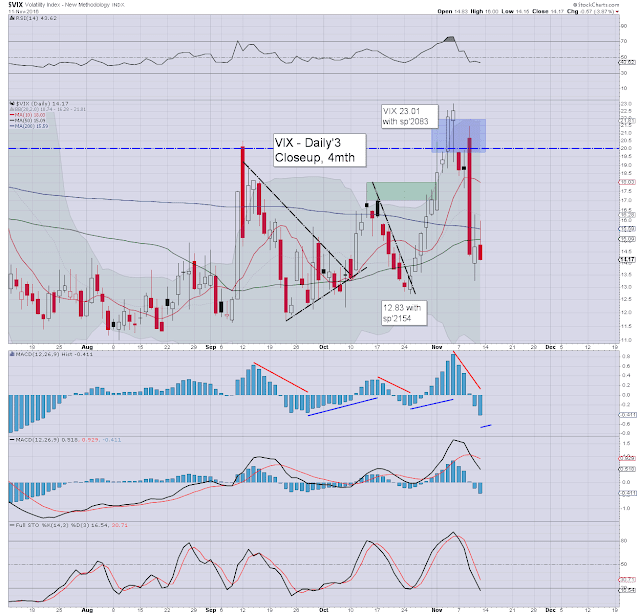 VIX hit a high of 16.00 - with sp'2152, but was then ground lower into the close.. as there just isn't any underlying fear. 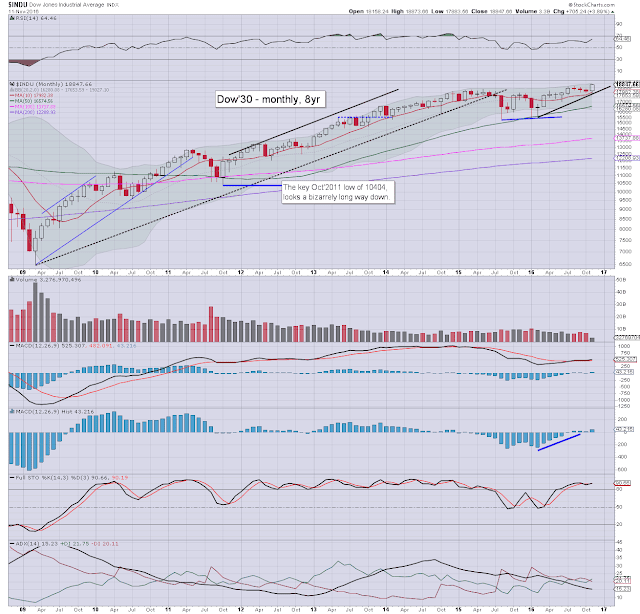 Even the 17s will be a stretch next Monday, if the 50dma (sp'2145/46) is tested. 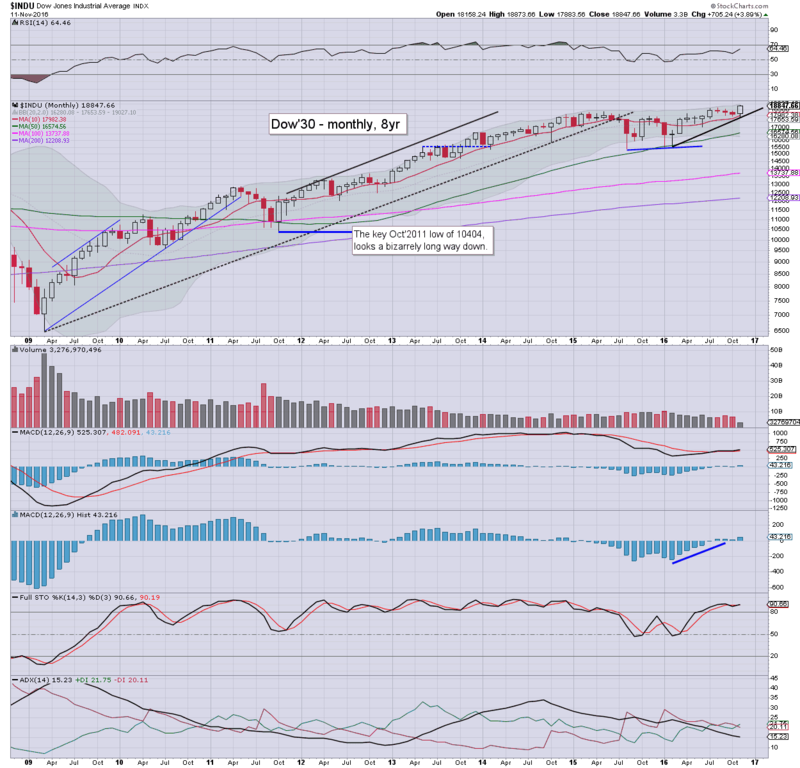 The gradual choppy cooling from the August high of sp'2193 has decisively ended. 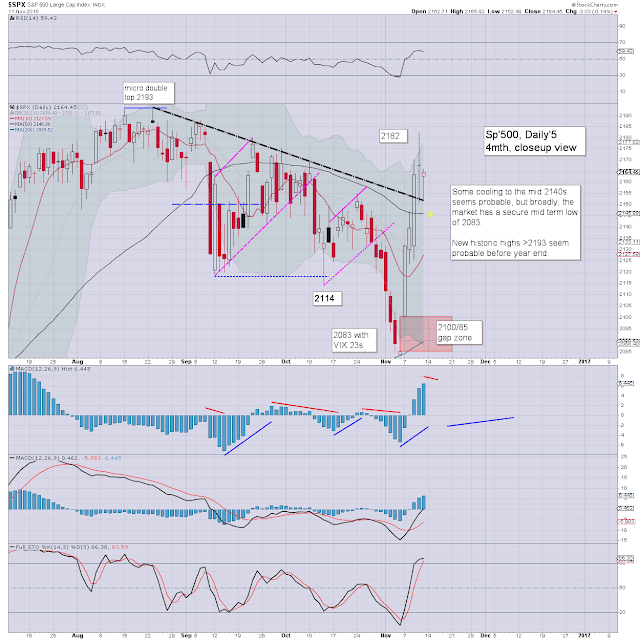 We have a key mid term low of 2083. 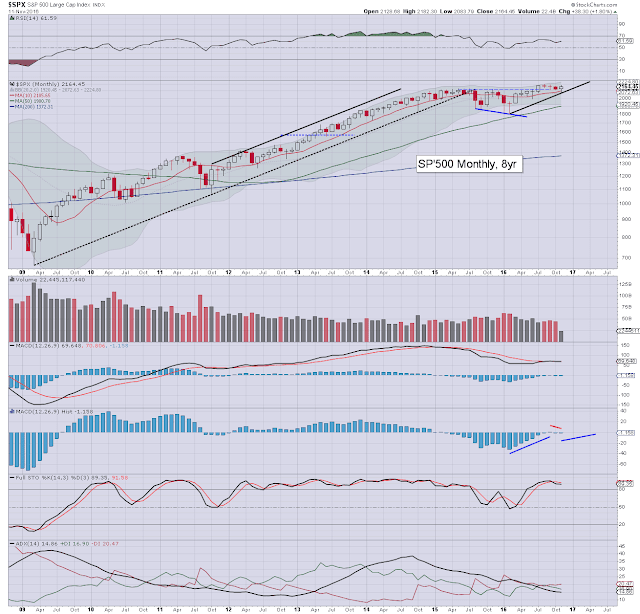 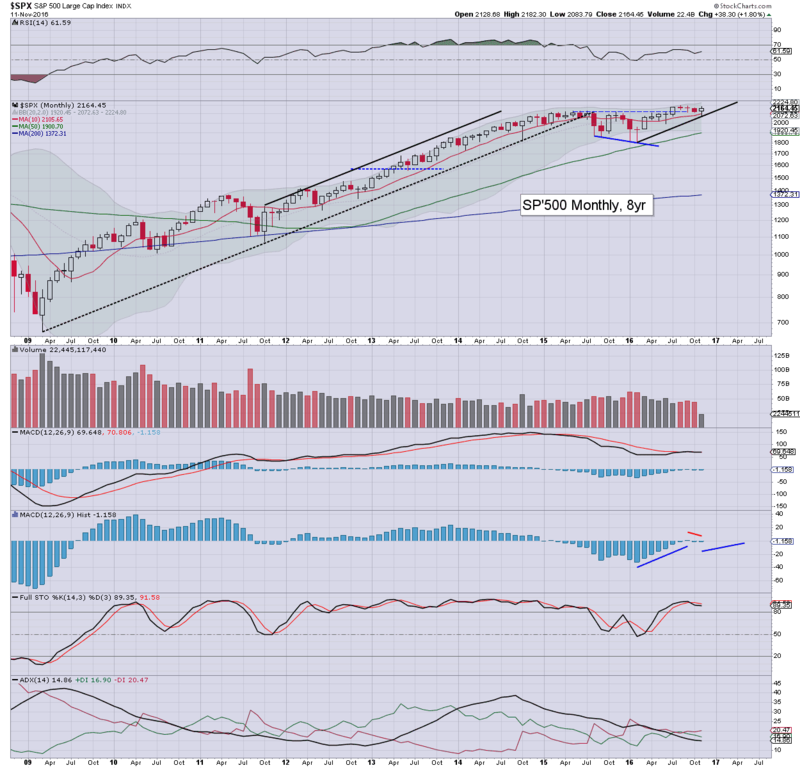 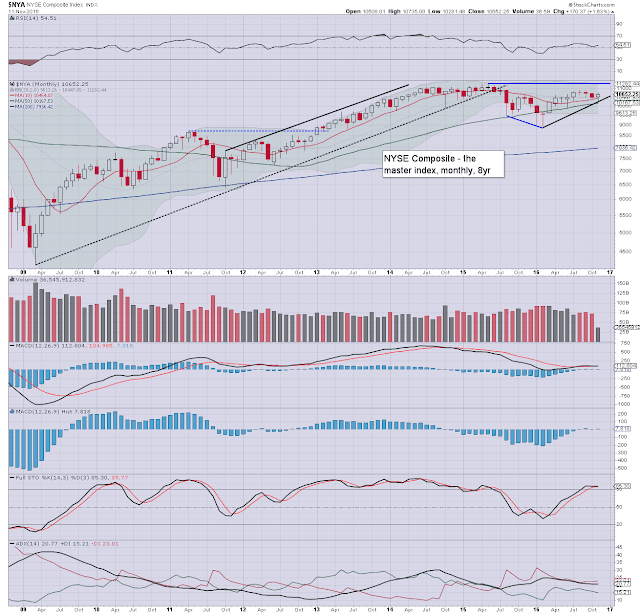 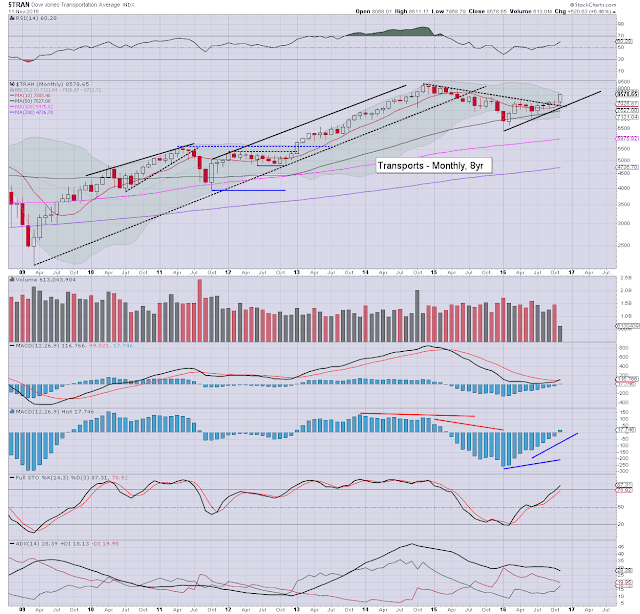 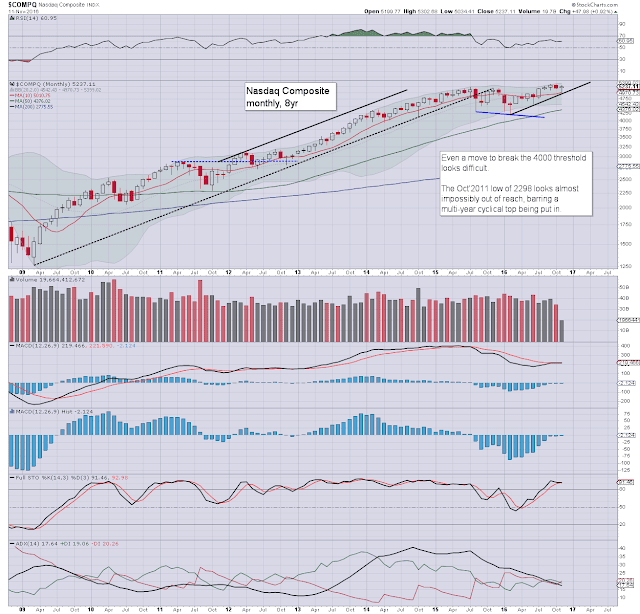 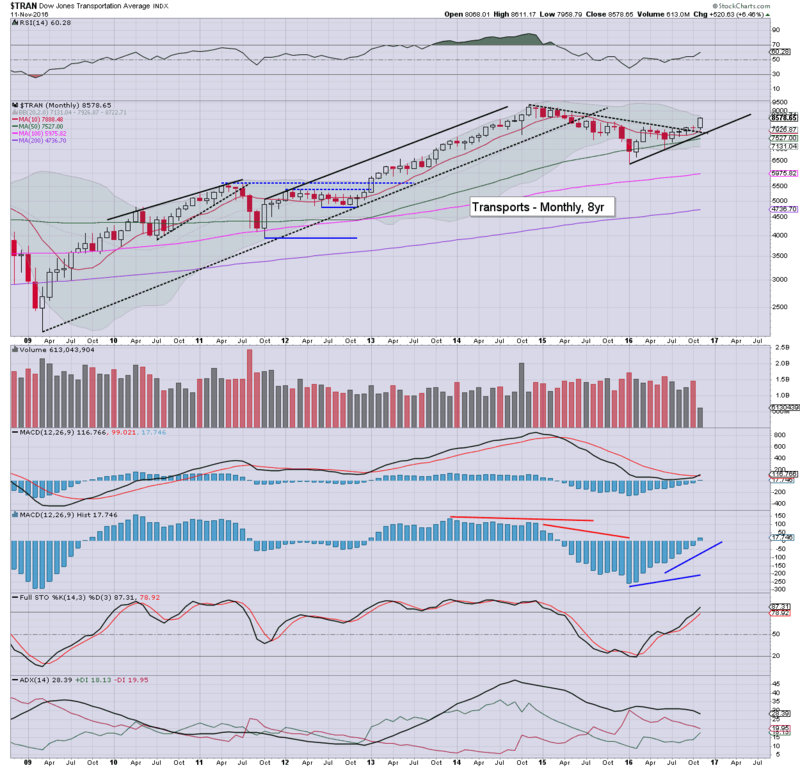 With the Dow already breaking a new historic high in the 18800s, the sp'500.. and other indexes can be expected to follow.